Senior Scientist (Plant Breeding) at the National Bureau of Plant Genetic Resources Regional Station in Shimla, India. He has received his doctoral degree in Plant Breeding from the Himachal Pradesh Agricultural University in Palampur, India. 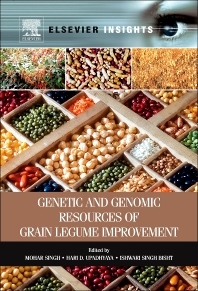 He has been working on the genetic and genomic resources of pulses, for the last several years and identiﬁed various useful gene sources for different traits of interest in wild lentil and chickpea species, some of which have since been introgressed into the cultivated background for diversiﬁcation of cultivated gene pool.